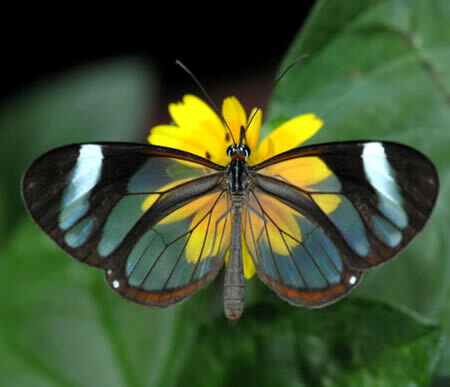 Found in Central America, from Baja to Panama, glass winged butterfly (Greta oto) is-footed butterfly where its wings brush translucent. Tissue between the veins of its wings looks like glass. 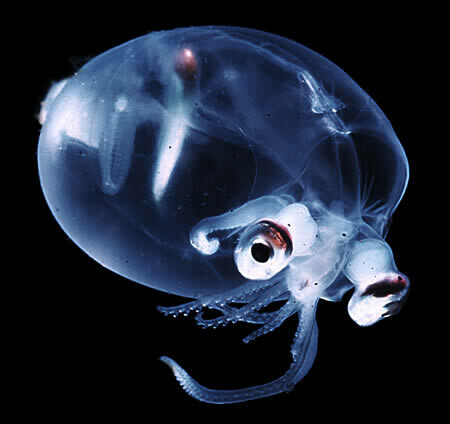 Found in the southern hemisphere oceans, glass squid (Teuthowenia pellucida) has light organs on the eyes and has the ability to coiled into a ball, as if hedgehogs that live in water. This squid is the prey of many deep sea fish (like sharks goblin) and also whales and sea birds. 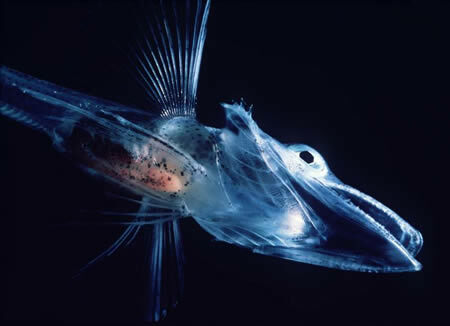 Found in water depths of ice around Antarctica and southern South America, fish crocodile icefish (Channichthyidae) prey on krill, copepods, and other fish. Their blood is transparent because they have no hemoglobin and / or simply the absence of erythrocytes (red blood cells). Their metabolism relies only on the oxygen dissolved in the liquid blood, which is believed to be absorbed directly through the skin from the water. This works because water can dissolve carbonic acid substances are generally at their lowest point. In five species, the gene for myolobin in the muscle also has vanished, making them have a heart, which is white instead of pink.